Josh Hoey Takes Down 1K PA State Record! 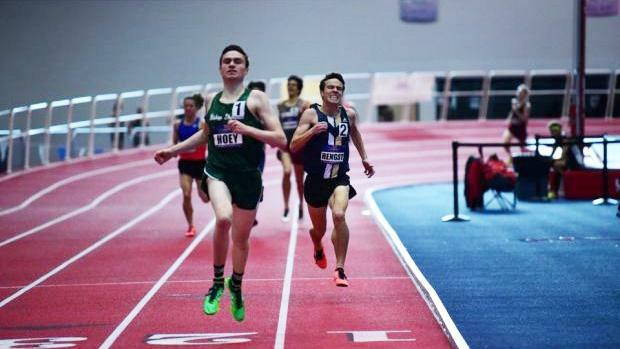 Bishop Shanahan's Josh Hoey put down a historic performance in the 1K at the Va Showcase in Lynchburg, Virginia. It was a big win in a talent field, but also a Pennsylvania state record. He ran 2:24.64 to break Paul Vandegrift's 1984 state record of 2:24.82 in the event. Hoey held off Dalton Hengst of Maryland in a race that also included Brodey Hasty of Tennessee and Cameron Ponder of North Carolina. Watch the race and an interview below.